Is it also possible to dissect an equilateral triangle into equilateral triangles such that no two of them have the same size? Suppose that $ABC$ is the great equilateral triangle with $A$ pointing upwards and that there exists a finite partition of $ABC$ into equliateral triangles such that every two triangles have different size lengths. First note that in the vertex $A$ the angle must be filled with a small equilateral triangle $AXY$. There are a number of equilateral triangles $T_1,..,T_k$ in the partition with one side contained in $XY$ and the vertices pointing downwards. Among these there is one with the smallest side length: $D_1E_1F_1$ (with $D_1,E_1$ on $XY$). The angles formed by the triangles $(T_j)$ in $D_1,E_1$ must be filled near their vertices with two equilateral triangles, one of which has smaller side length than $D_1E_1$. Denote with $A_1$ this vertex and $A_1B_1C_1$ this smaller triangle. 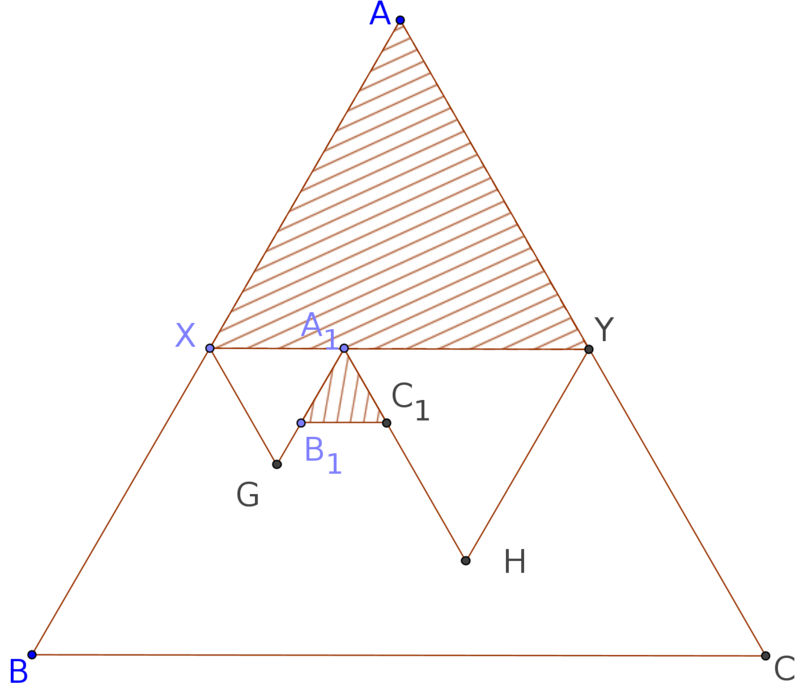 this triangle has two neighbor triangles and one of them is smaller, which we denote by $A_2B_2C_2$, and so on. We can continue this procedure indefinitely because all the triangle sides are different. This paper claims it is impossible. 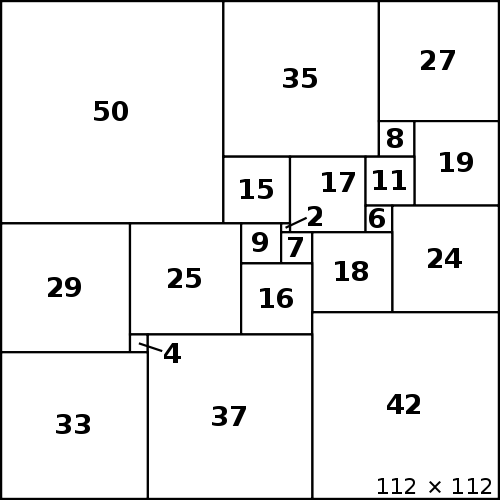 Although as Ross Millikan points out, such a dissection is impossible, it is of interest to note that, provided we count upwardly oriented triangles as different from downwardly oriented, there is a dissection into 15 triangles. That is, none of the upwardly oriented triangles are same sized, nor any of the downwardly oriented. Not the answer you're looking for? Browse other questions tagged combinatorics recreational-mathematics discrete-geometry tessellations or ask your own question. Puzzle: Cut regular tetrahedron into distinct-sized regular tetrahedra? Combinatorial problem of choosing points inside an equilateral triangle without them being too close. How many different shapes can you construct with n equilateral triangles? Can a row of five equilateral triangles tile a big equilateral triangle?